Located in one of the country's best skiing destinations, the Marriott StreamSide Birch resort offers plenty of comfort and convenience to complete your Colorado trip. Find timeshare resales and rentals at the resort for prices up to 70% lower than retail costs today. 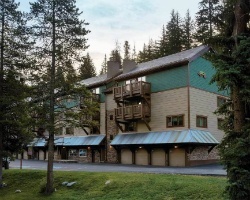 Part of the larger Marriott StreamSide complex of resorts, the Birch property offers classic mountain lodge-style accommodations at the base of some of the best slopes in the Rockies. 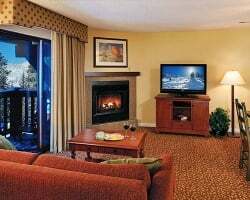 Perfectly positioned close to all of Vail's best attractions, this StreamSide Marriott resort also includes a dazzling array of on-site amenities and services, like an indoor-outdoor swimming pool, a ski and snowboard equipment rental service, and a complimentary shuttle to nearby ski lifts. Establishing itself as a great year-round resort, you're guaranteed to feel right at home any time of year at the Birch. Accommodations at the resort range from efficient studio units to multi-room villas ideal for families. 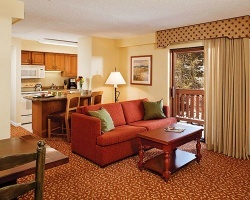 Perfect for anyone looking to hit the slopes or discover great summertime hiking around Colorado, the rooms at the resort cater to your every need. Relax on cold winter nights by your very own fireplace, or lounge on your patio during the summer. Spacious living and dining areas are equipped with updated furnishings to ensure your complete comfort, while the full kitchens are there for your convenience. Are you ready to find your dream accommodations at the StreamSide Birch? Fill out the form on this page to learn more about ownership opportunities, or call a representative at 1-877-815-4227. Buying a timeshare at Marriott's StreamSide – Birch will grant you and your family years of great trips to Colorado, complete with exclusive perks and privileges. However, purchasing a timeshare resale at the resort can give you all those great benefits for thousands less than what others pay. 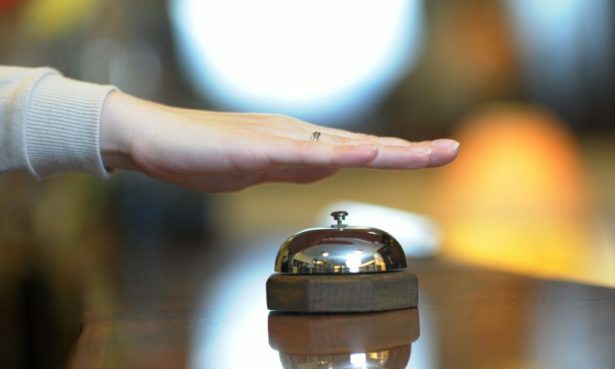 Because timeshare resales are sold by individual owners instead of the resort itself, you can find the same long-term accommodations at much better prices. At the end of the day, you'll be getting high-quality ownership intervals at the StreamSide for discounts of up to 70% off. The StreamSide at Birch is affiliated with the Marriott Vacation Club. Marriott is one of the largest and most popular vacation ownership clubs in the world, and resale owners at the StreamSide will have the opportunity to reap the rewards. As a resale buyer at the resort, you can convert your timeshare week to Marriott Vacation Club Destinations points to unlock points-based reservations and more flexible vacation planning. You can also seek out other vacation opportunities through the Marriott Vacation Club by spending your points on reservations at other Marriott resorts in destinations all over the world. The Marriott StreamSide – Birch is also affiliated with Interval International, one of the world's most popular timeshare companies. An Interval International membership can help you get the most out of your resale, as it can allow you to explore vacations in other destinations worldwide. Simply deposit your Birch resort timeshare into the Interval exchange network, and trade for stays at comparable resorts in their catalogue. What's more, the StreamSide Birch is a Select-rated resort, meaning you'll be able to exchange for stays at resorts of similar quality. The Marriott StreamSide Birch property features a variety of amenities and services designed to make your vacation experience unforgettable. Stay active at the fitness center or racquetball court, or swim in the connecting indoor/outdoor swimming pool. Relax in the whirlpool hot tub to truly unwind, or embark on a hiking or biking excursion on one of the paths beyond the resort's grounds. Take the StreamSide's free shuttle to the Vail and Lionshead ski lifts for instant access to mountain slopes, and stop by the resort's equipment rental service to stock up on gear. In the surrounding Vail area, you'll find plenty of opportunities to explore and take in your home-away-from-home. Adventure through the White River National Forest or even rent snowmobiles to explore the countryside. Vail is also an amazing summertime destination, with unbelievable hiking trails catered to hikers of all skill levels. Walk through downtown Vail to discover a unique and charming community—the Vail Film Festival is held every spring, giving visitors a chance to watch amazing films. The Taste of Vail festival offers up delicious fare from local restaurants and vendors, and can also be a great way to experience the destination. Already Own at Marriott’s StreamSide Birch?